BACON & SONS FILM CO. » Another Kind of reward. Unless you happen to be on one of the few remaining transcontinental flights still without wifi, there’s not much time away from work these days. It takes a concerted effort, at times, to really break from deadlines, conference calls and the obligations required to keep your clients satisfied and your team motivated. But you’ve got to find ways to do so.Breathing, exercise and eating right sure help. So does making sure to you carve out undistracted time with family and friends to be the parts of you that isn’t connected to email. Plant a garden, even if it’s in a container on your stoop. Growing things to nourish your body with help nourish your spirit as well. 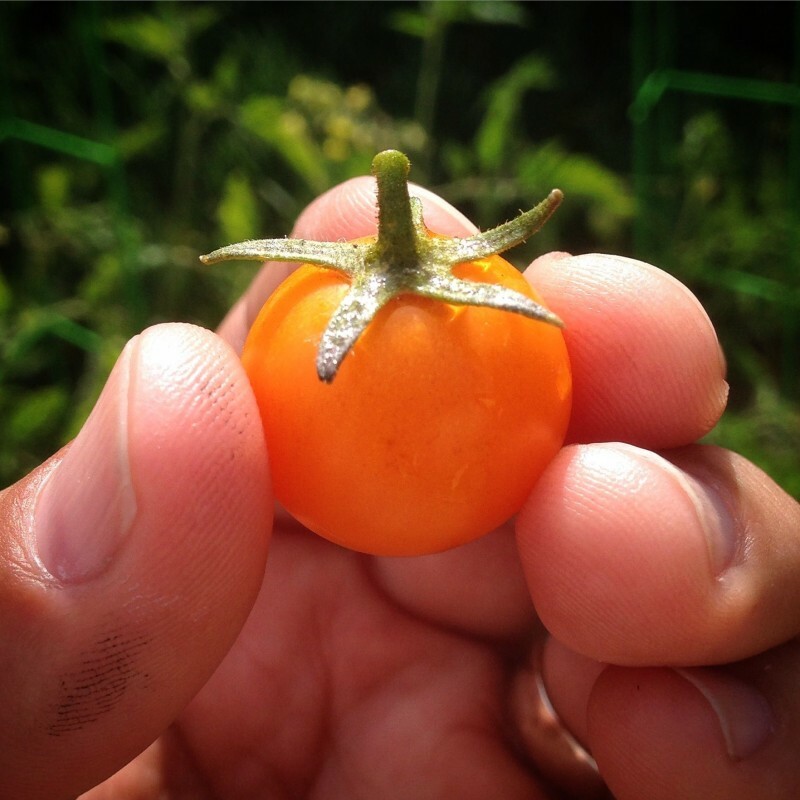 Digressing from an uncharacteristically fuzzy post… this tomato, the first picked of the season, was as delicious and full of summer as you could ever hope for. Here’s to many more for the mouth and the mind alike.